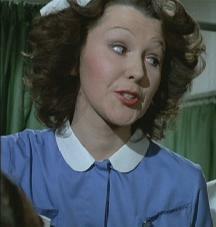 A 'Carry on' of 1975. 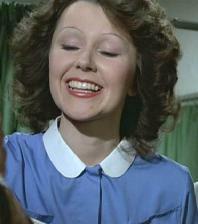 It's British humor were Linda Hooks plays the nurse. Professor's Vooshka and Crump decide to visit an archaeological site to study the artifacts there. Low and behold, it's right next to a caravan site where all manner of people are staying. With a randy Major owning the site, a snobbish mother, and the two professors constant innuendos, the film ends with a sinking caravan site and a striptease performance as a replacement for the cabaret night. 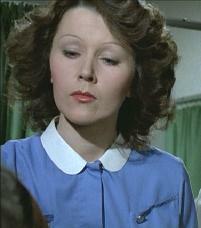 Linda Hooks as Nurse from Carry On Behind, UK 1975.